Medium Speed Engine Room Simulator - based on different engine types. 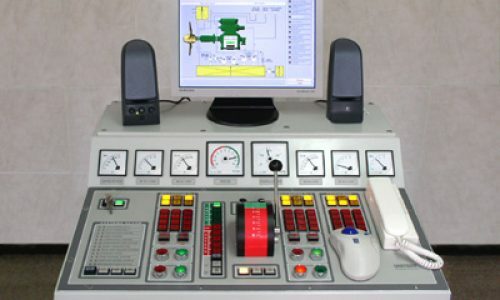 We offer a choice of medium speed engine room simulators based on different engine types. All versions can be provided as software only, or installed into hardware consoles for greater realism. MER2 comprises two Sulzer diesels powering one controllable pitch propeller. MER3D is based on two Bergen diesel (Rolls Royce) engines, typical of the workboat industry, with reduction gear and controllable pitch propeller. MED3D is based on a medium speed MaK diesel engine, three diesel engine generators and one shaft generator.